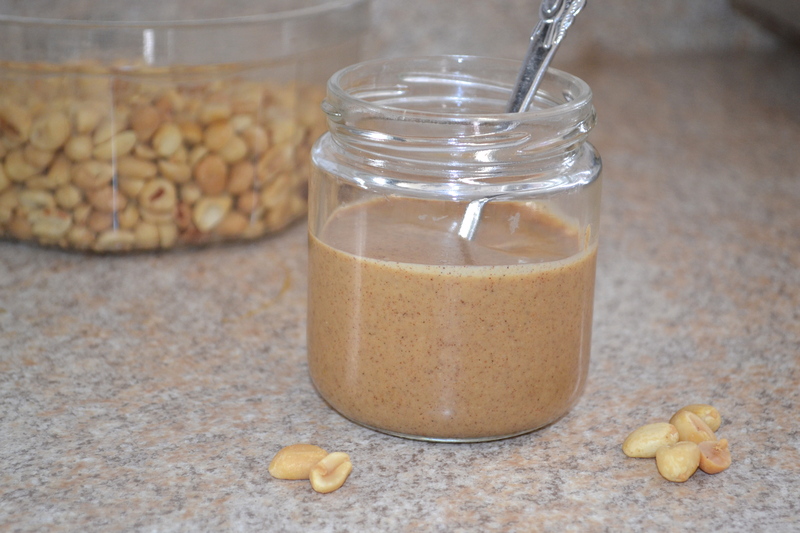 I’ve really wanted to try making a nut butter from scratch and believe me when I say this, it is the easiest thing you will make all day. I kept eating spoonfuls of it while trying to photograph it. I just couldn’t help myself! 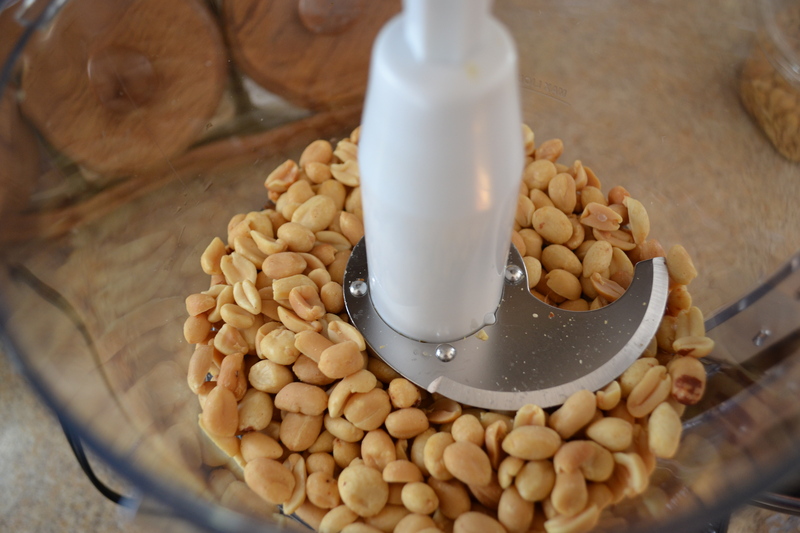 Pour the peanuts into a high powered food processor and blend for 6-10 minutes. It will start out chunky and eventually smooth- just give it some time. When finally smooth, add the cinnamon and blend some more! 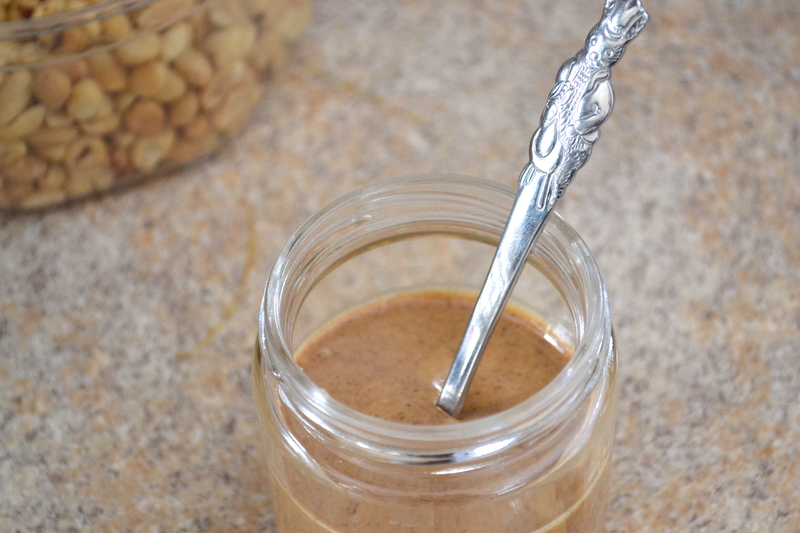 The peanut butter should last about 2-4 weeks in the fridge, but make sure to mix it a bit before eating. 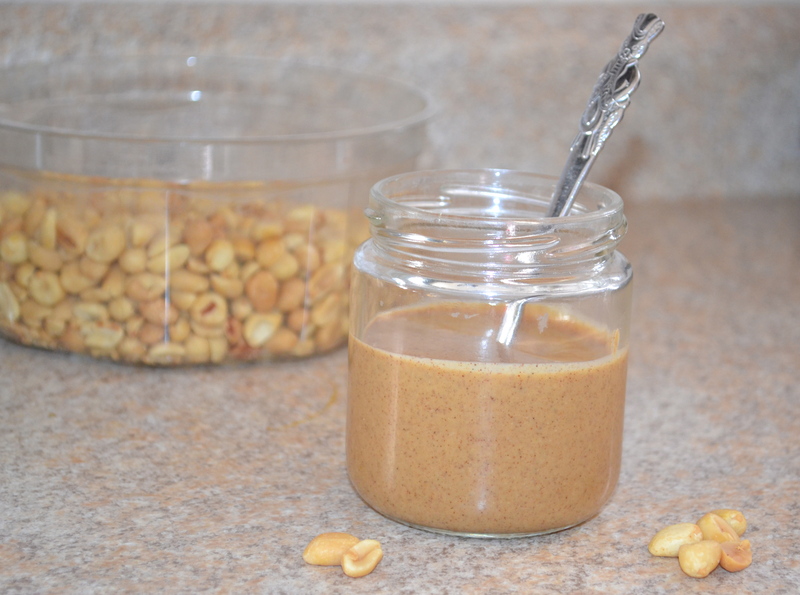 This recipe makes a generous 1/2 cup of peanut butter. 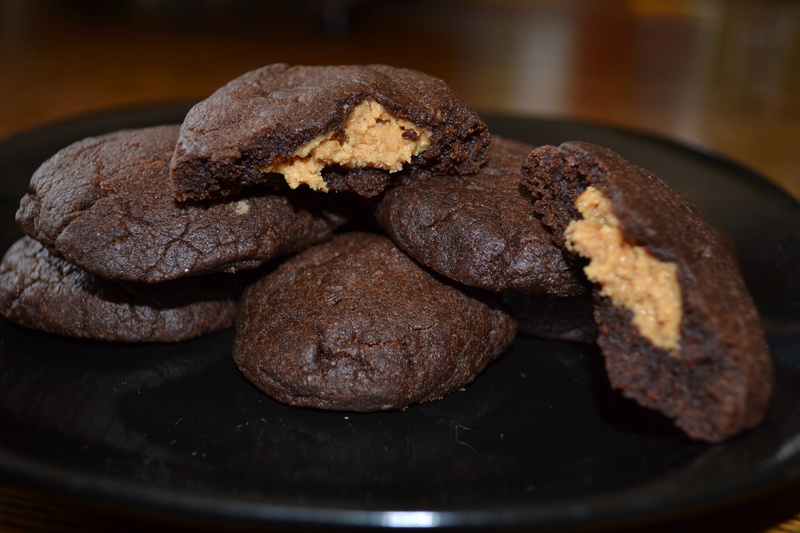 Chocolate and peanut butter. 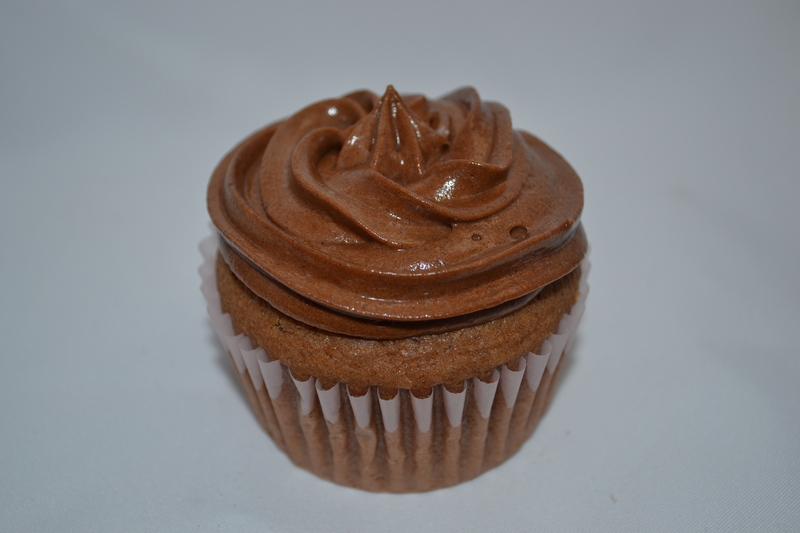 Together in a cupcake. Divine. 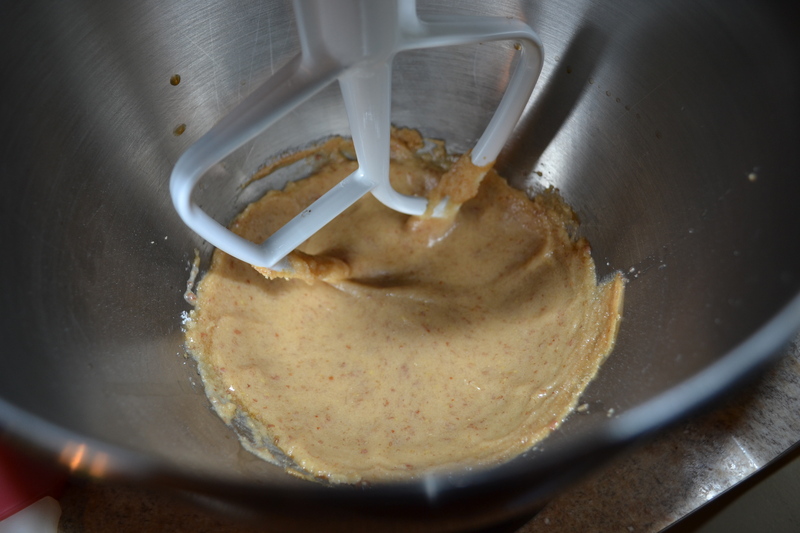 In a large bowl, mix together the butter and peanut butter with a mixer to ensure it is creamy. Once smooth and combined, mix in the sugar. 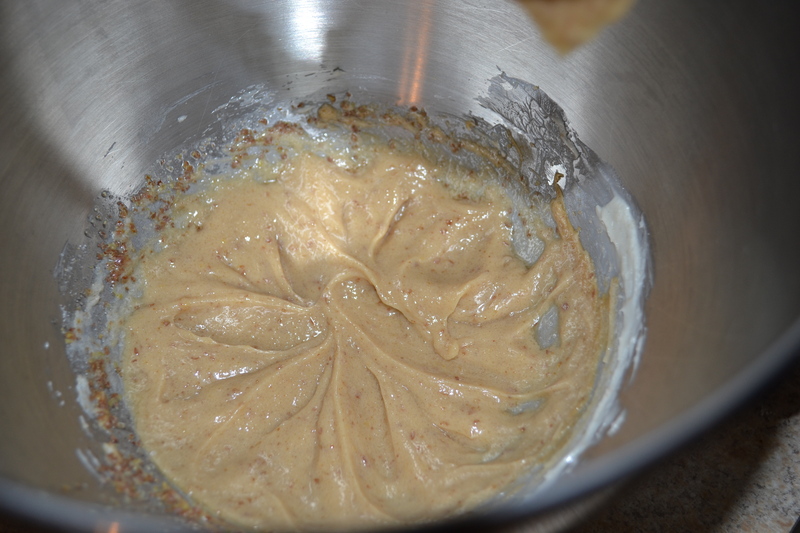 Then add the flax eggs and vanilla. Next, add the flour alternatively with the milk, making sure you begin and end with adding the four. Add the baking powder and salt. Mix until smooth. Once smooth, pour the batter into muffin cups. 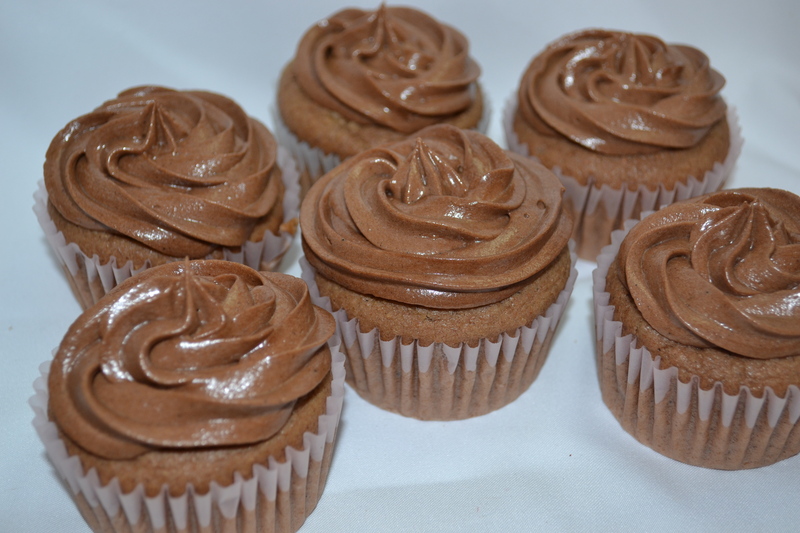 Place in the oven for 22-25 minutes, or until a toothpick inserted into the cupcakes comes out clean. 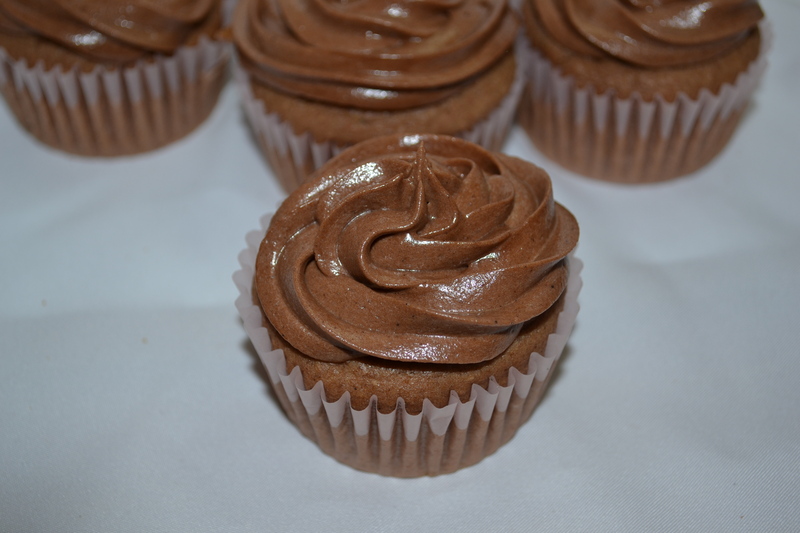 When cupcakes are fully cooled, you can ice then however you wish! 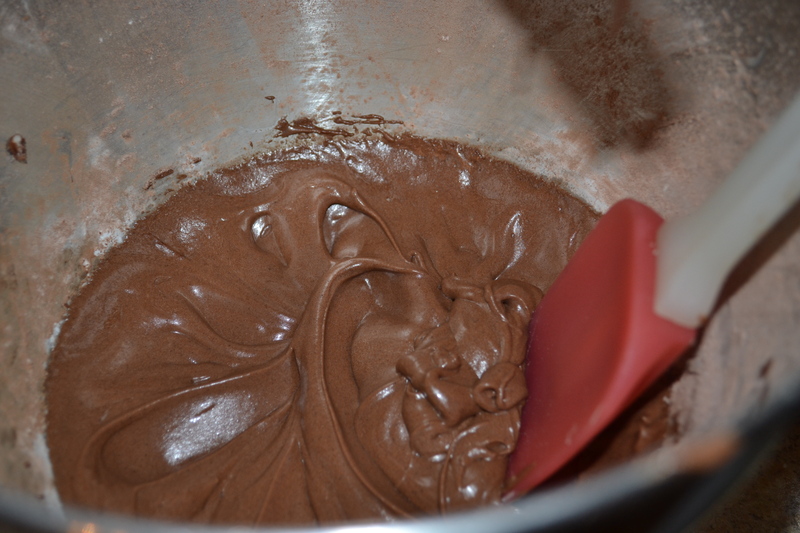 I added all the icing ingredients together into a large bowl and mixed until smooth. I piped a decorating bag full of icing and used a large star tip to decorate the cupcakes. 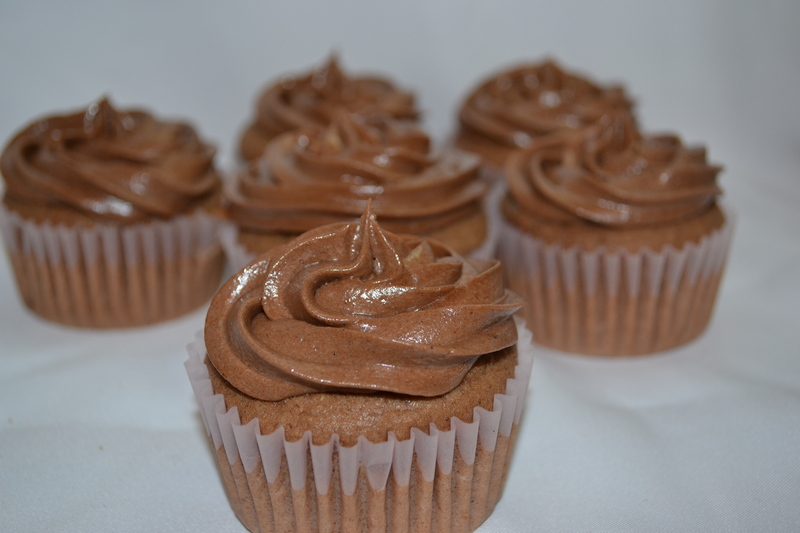 What is everybody’s favourite flavour of cupcake? 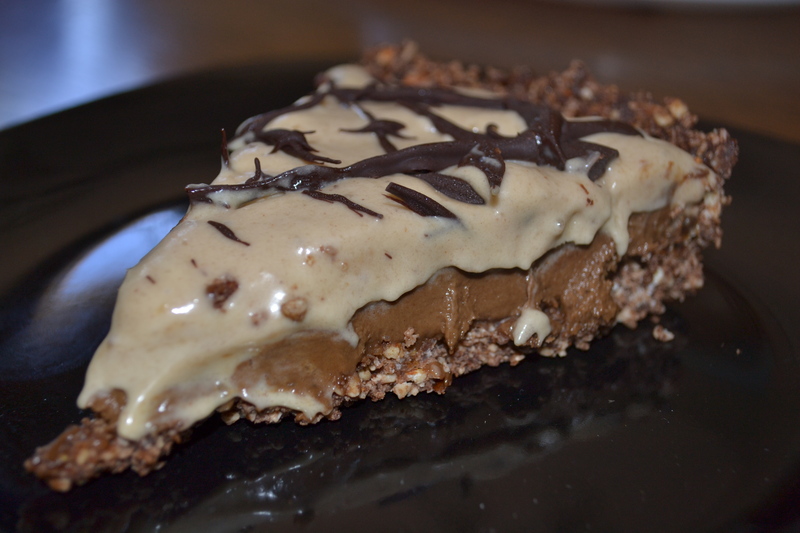 Chocolate outside with a peanut butter center. 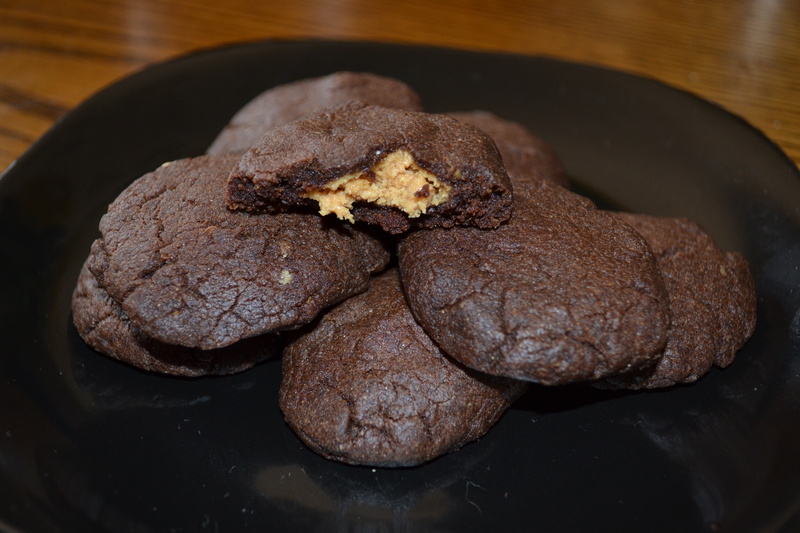 It is kind of like a reese cup, but in the form of a cookie! 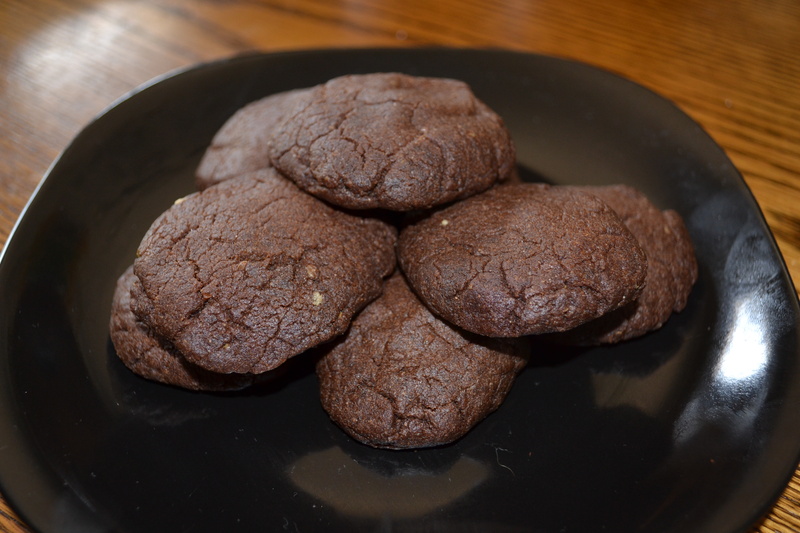 And it is the best cookie I have yet to taste. 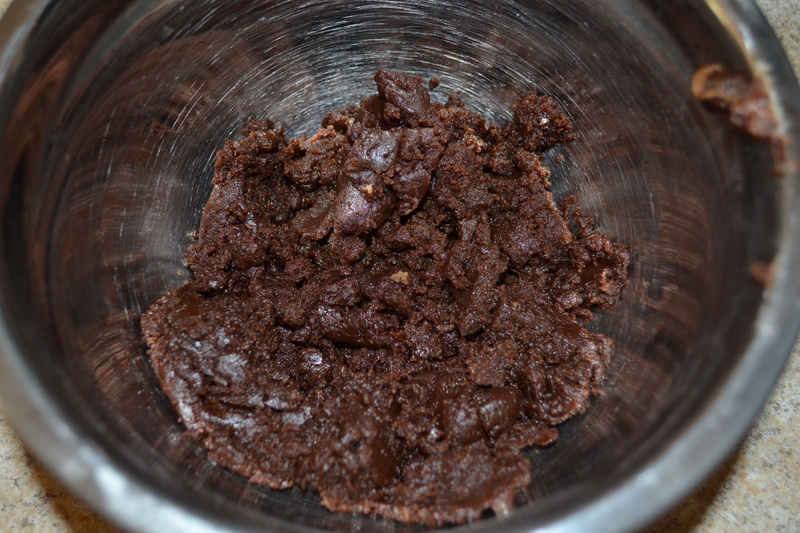 In a medium sized bowl, mix together the flour, carob powder, salt and baking soda. 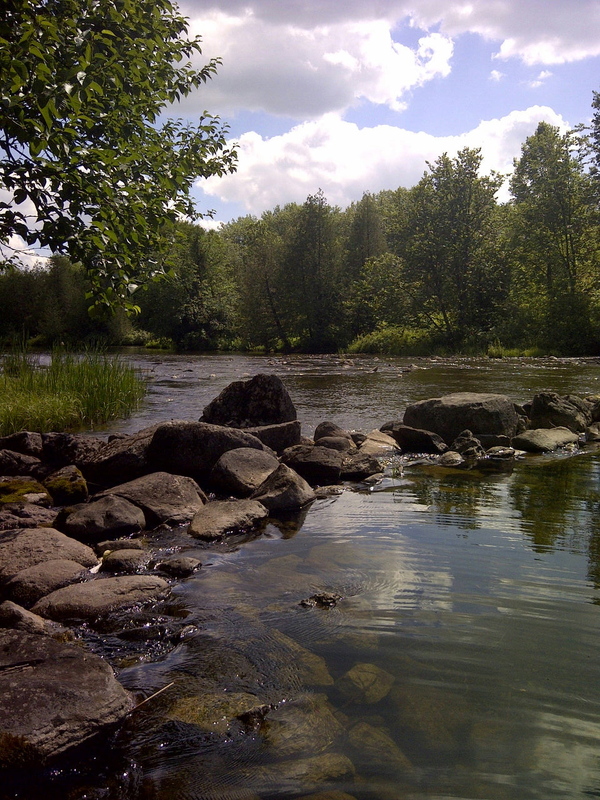 Stir to combine and set aside. 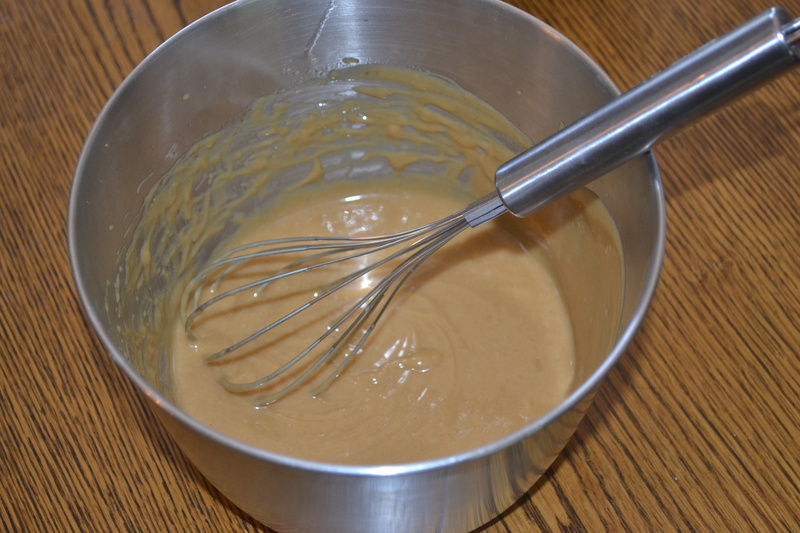 In a medium to large sized bowl, mix together the butter, brown sugar, cane sugar, peanut butter and vanilla extract. 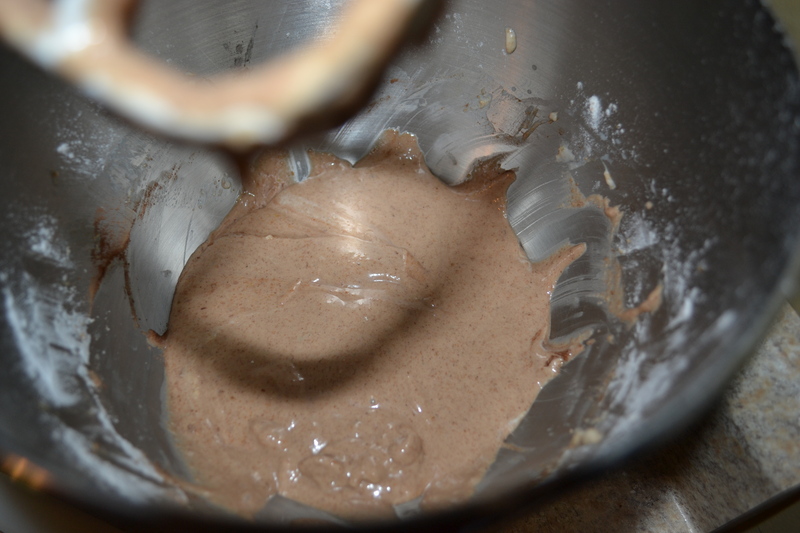 Add the flax egg mixture and blend until smooth. 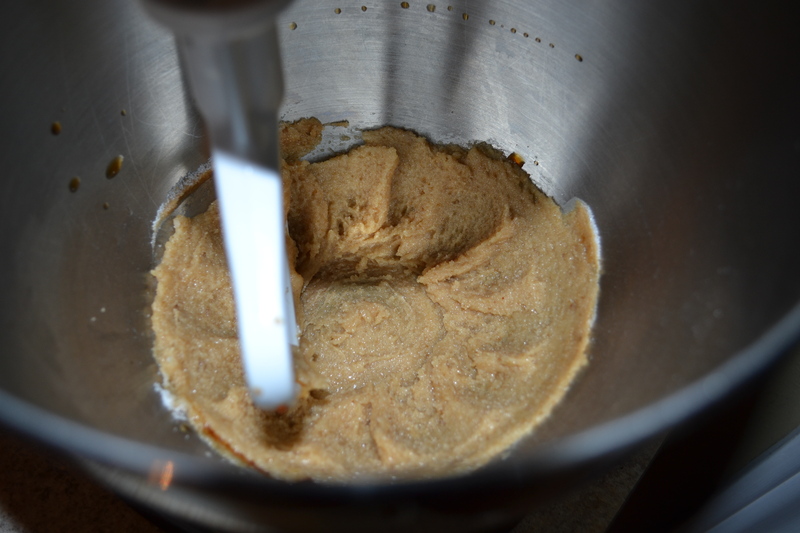 Then, add the flour mixture that you set aside and blend. 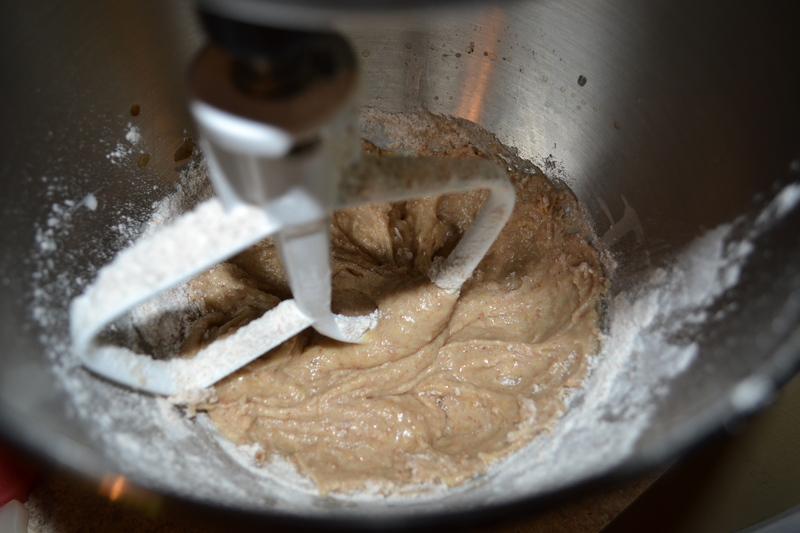 The dough will become crumbly in texture. 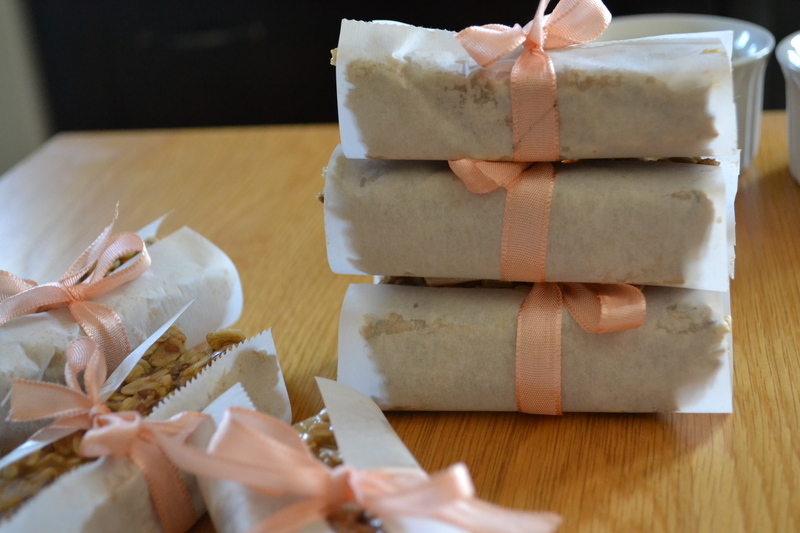 Once crumbly, set aside. 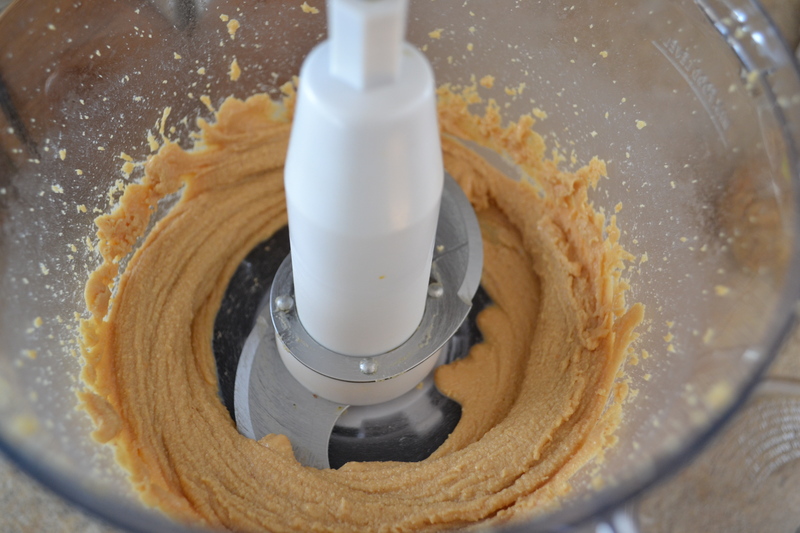 In a small bowl, mix together the filling ingredients (icing sugar and peanut butter) until mixture becomes crumbly. 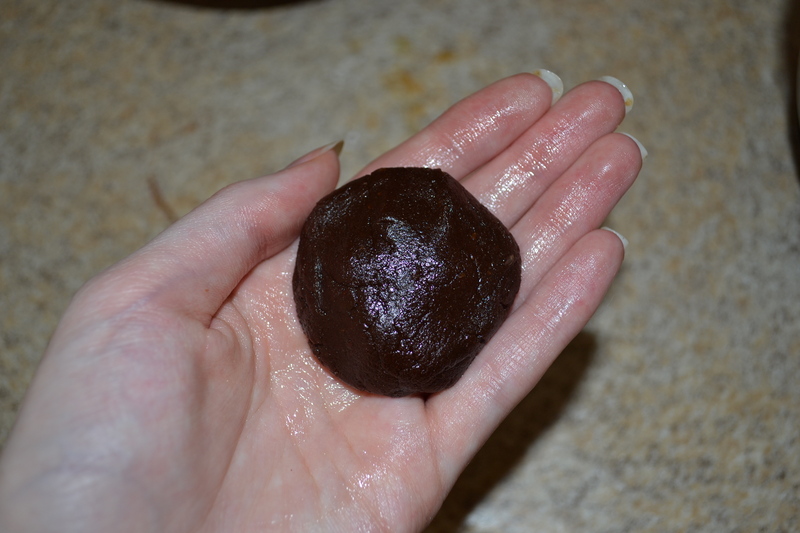 Take a chunk of the chocolate dough and roll into a ball. 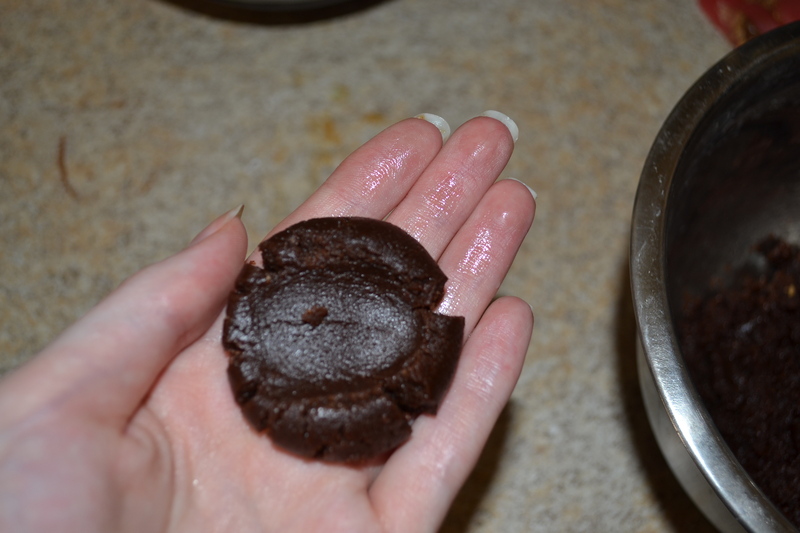 Then slightly flatten in the centre with your thumb. 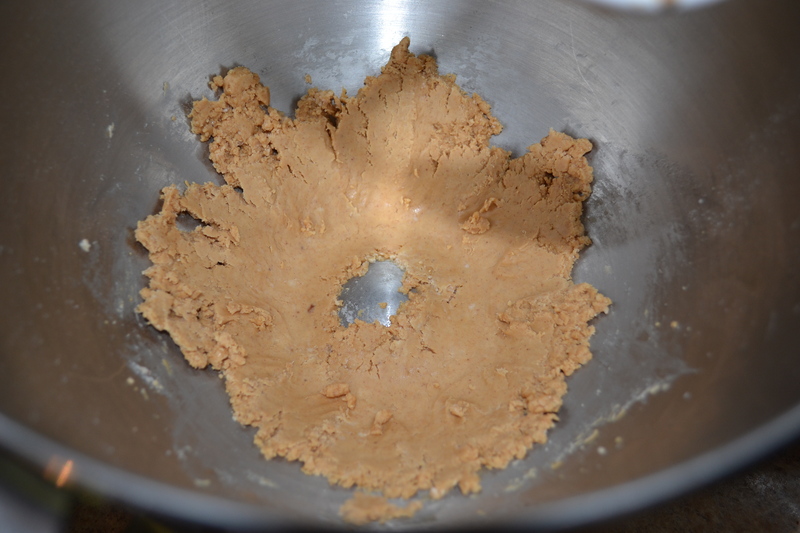 Then, take some of the peanut butter filling dough and roll into a ball. 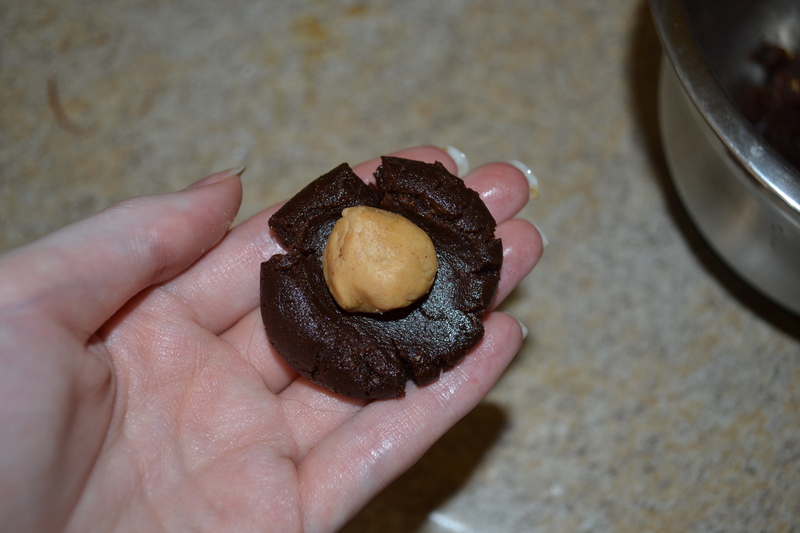 Place the peanut butter filling ball in the center of the chocolate cookie dough ball. 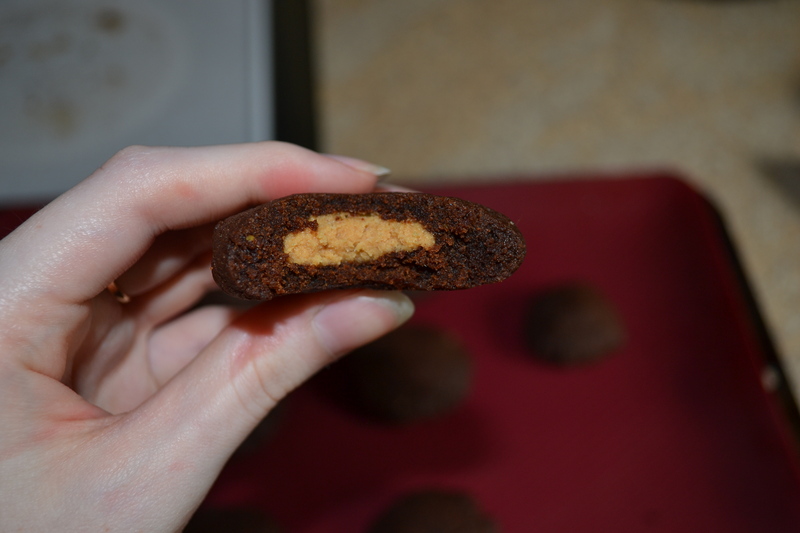 Pinch the chocolate dough closed around the peanut butter filling until the filling no longer shows. 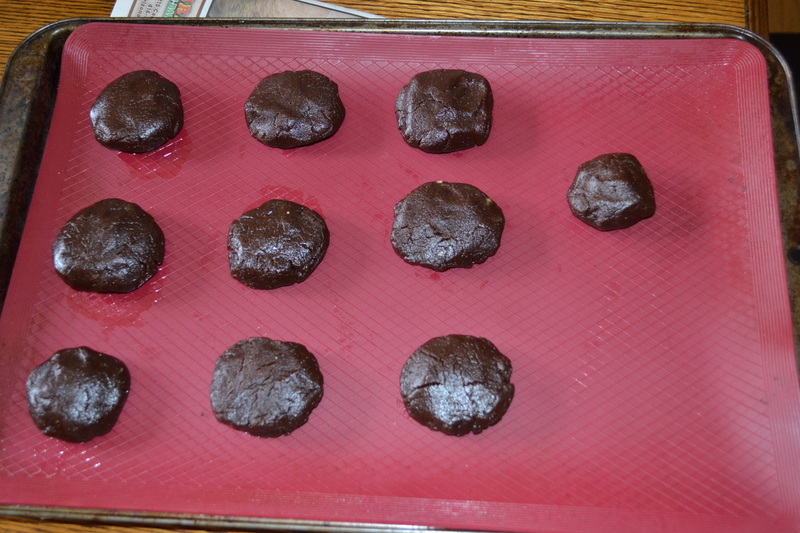 Place cookie on a lined cookie sheet and flatten slightly. 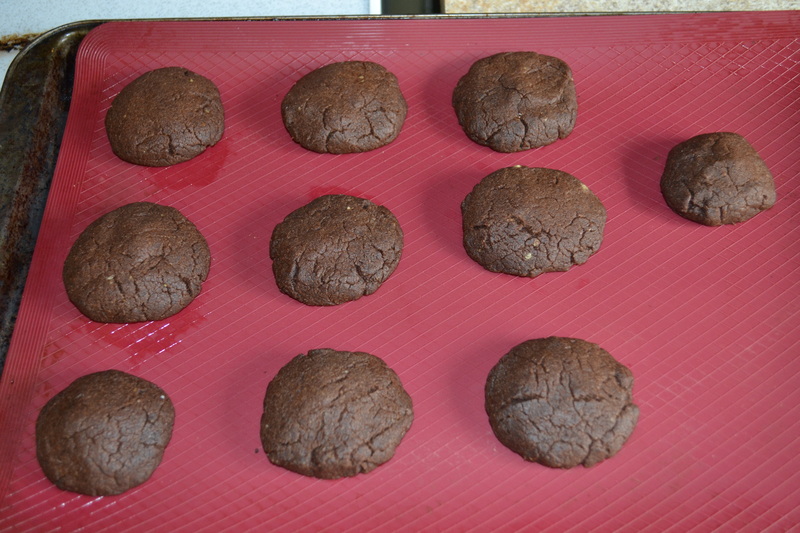 Remove from the oven and allow to cool on a cookie rack. 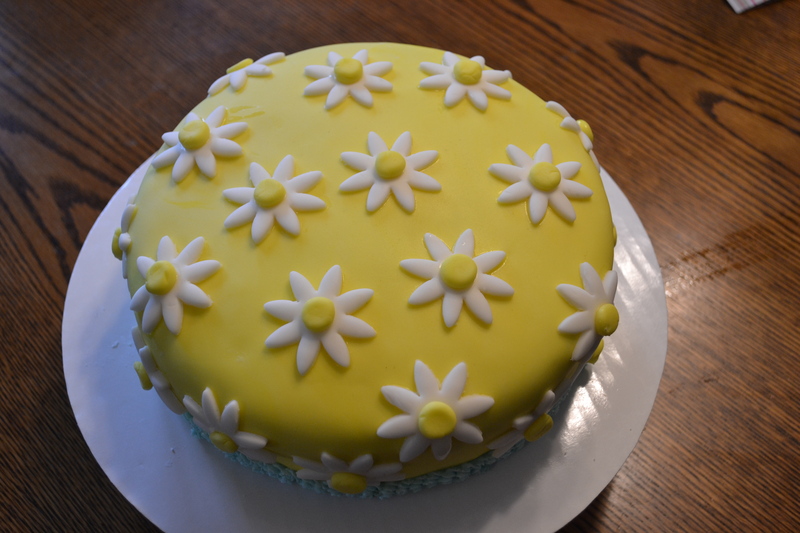 On another note, I had my first go at making a fondant cake yesterday for my mother’s birthday. Chocolate. Peanut Butter. Banana. All together. 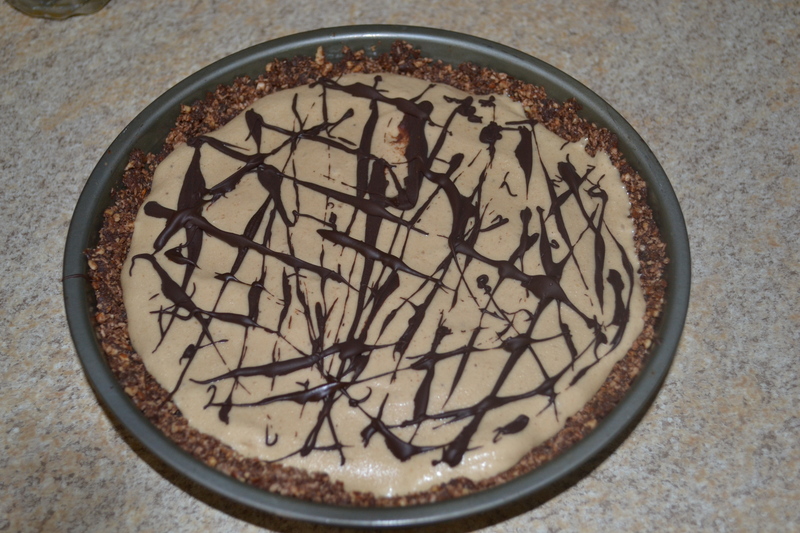 In a pie. 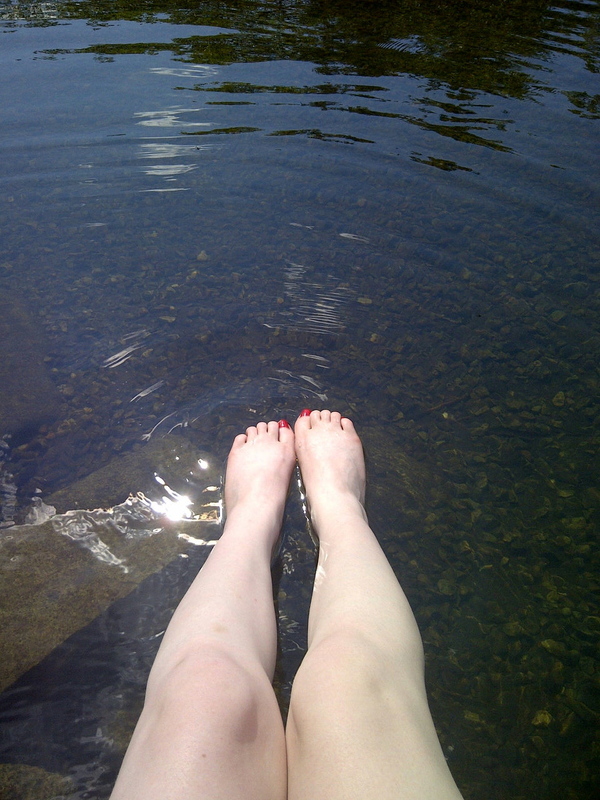 Heavenly. 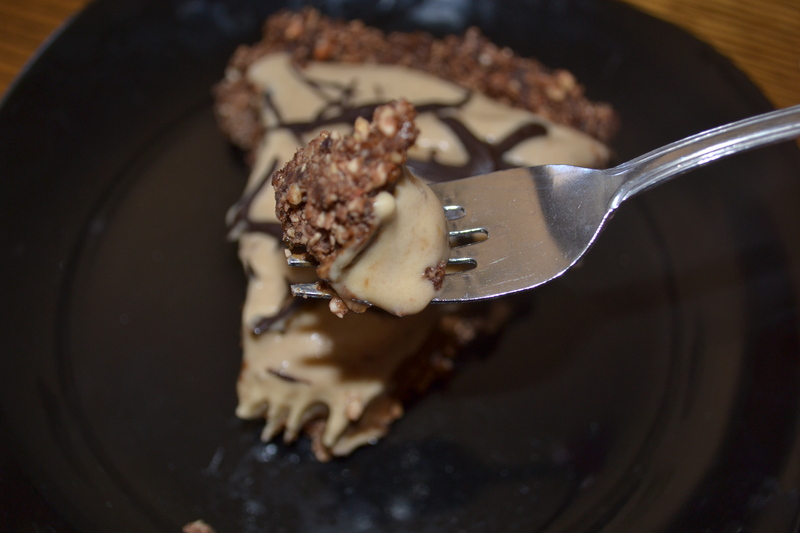 But perhaps the best thing about this pie is that it is no bake. 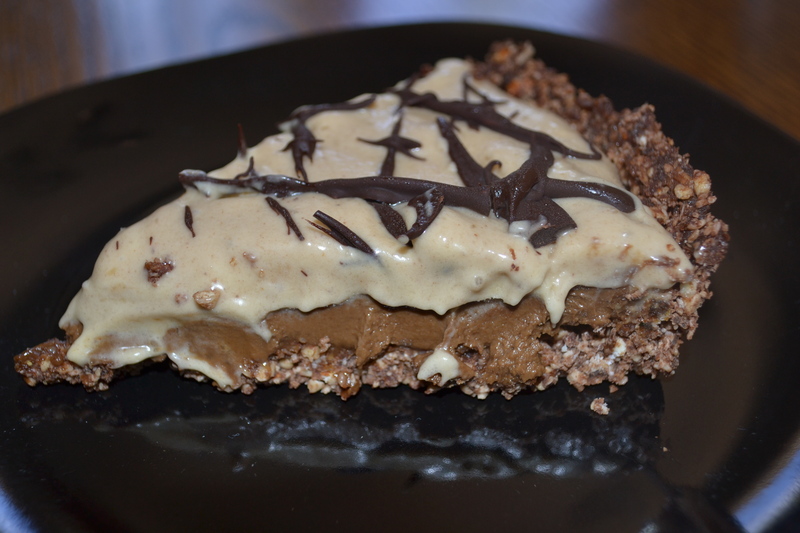 A delicious, frozen pie perfect for those hot days. Or any day, really :). 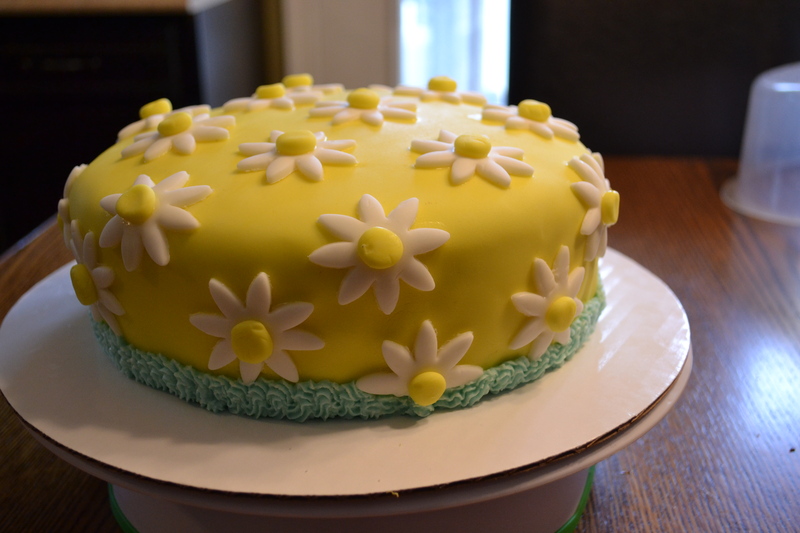 And bonus points: it is made with healthy ingredients! First off, you need to make your crust. 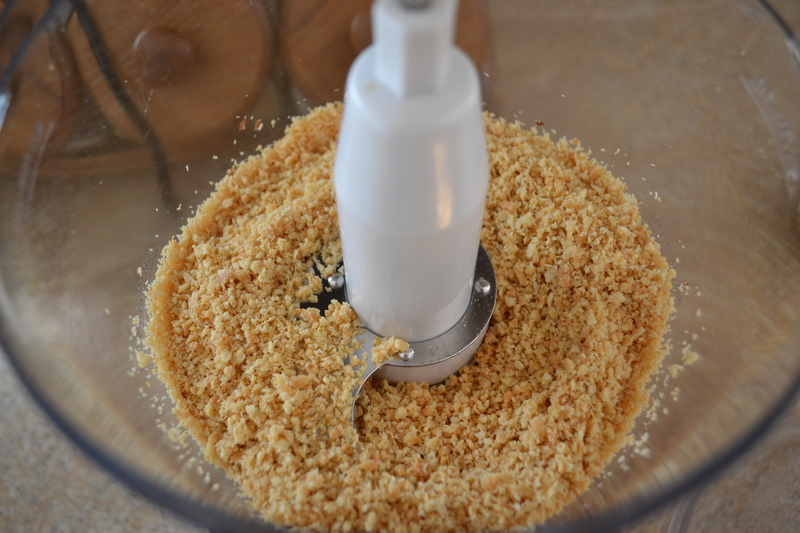 Add all of the crust ingredients together in a food processor and blend until combined. 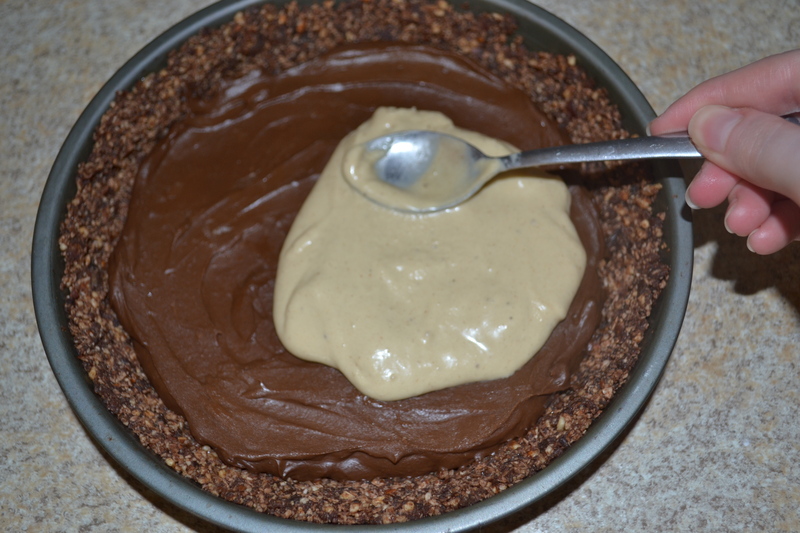 Press into a pie pan and set aside. 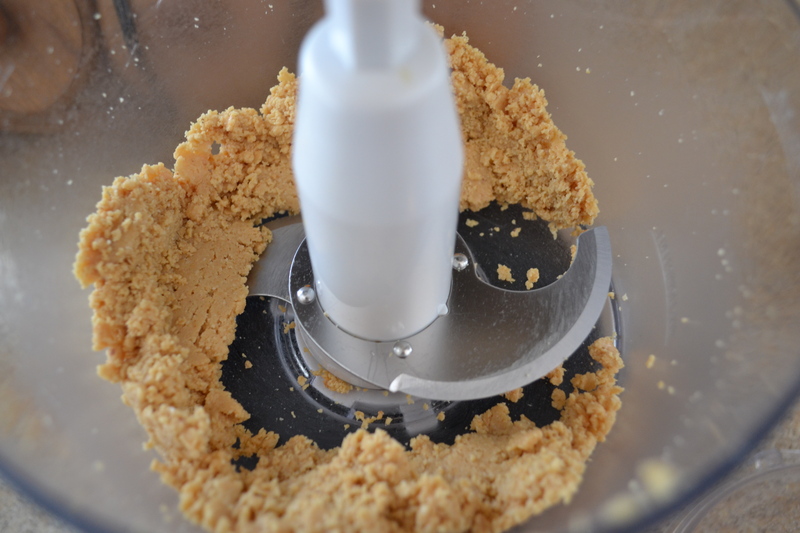 Next, clean out your food processor and allow it to dry. 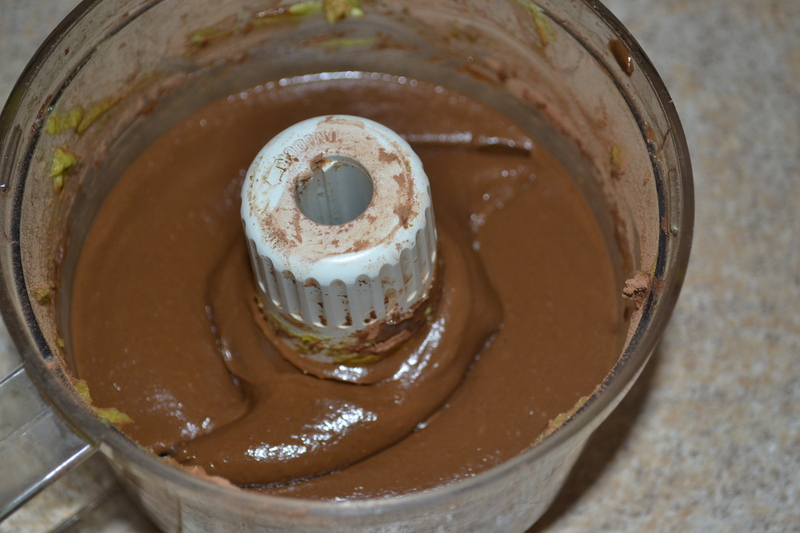 Then add your chocolate filling ingredients (avocado, milk, cocoa powder and agave) in the food processor and blend until smooth. 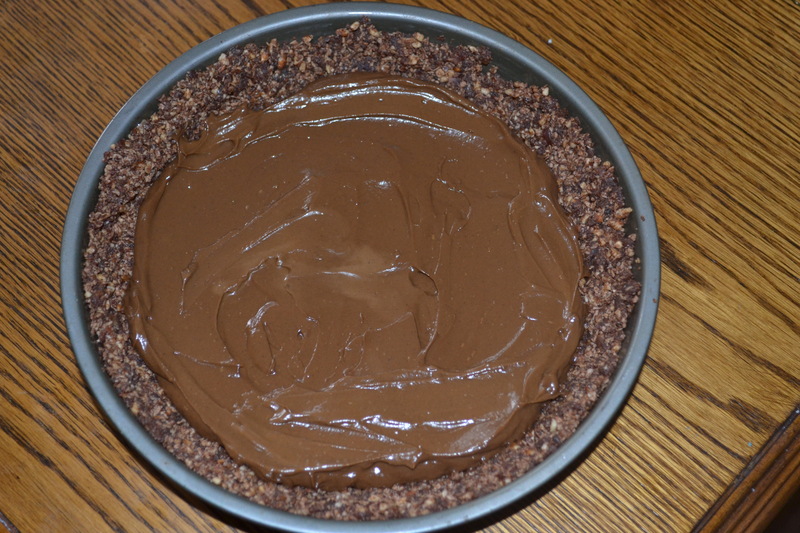 Pour the chocolate filling into the pie crust and smooth. 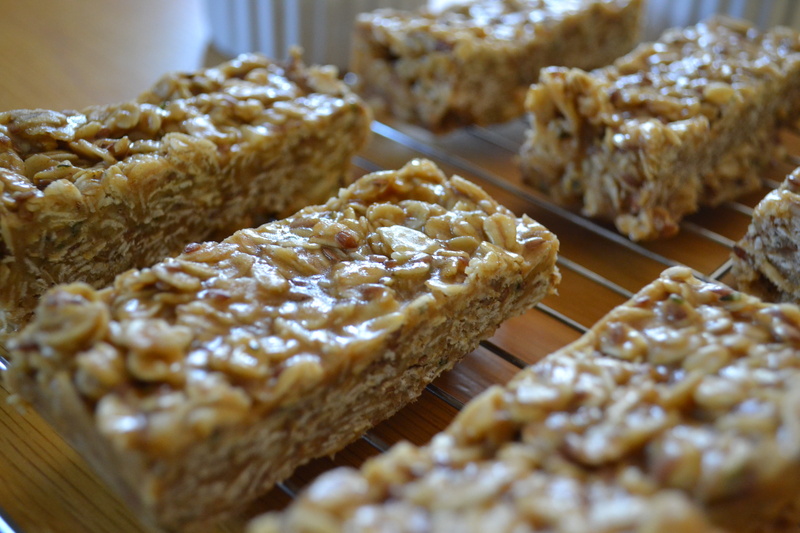 Stick in the freezer for at least 2-4 hours. You want the layer to harden up. 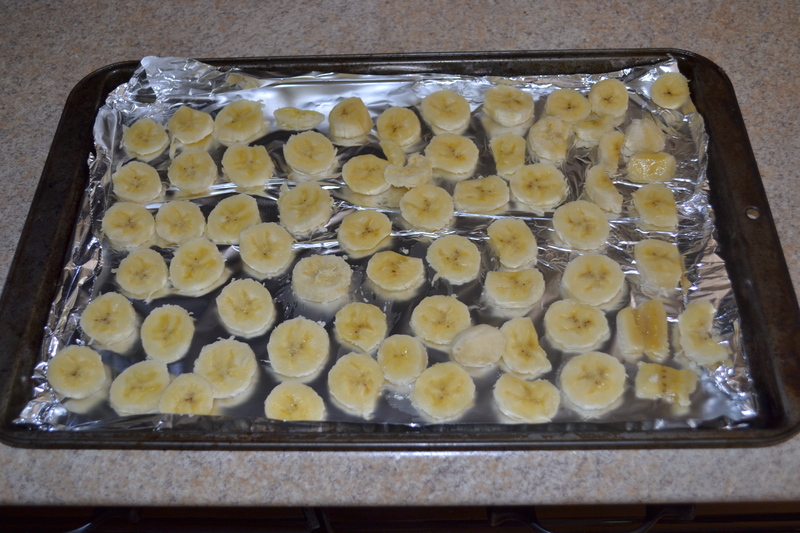 Then, cut up the bananas and place on a baking sheet. Stick in the freezer for 1-2 hours. 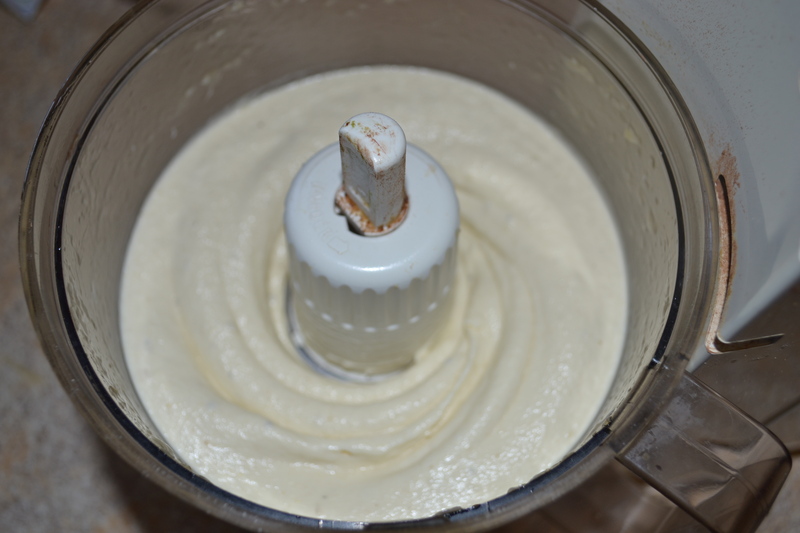 Once the bananas have frozen, add them to a food processor, along with the peanut butter and vanilla extract and mix until smooth. 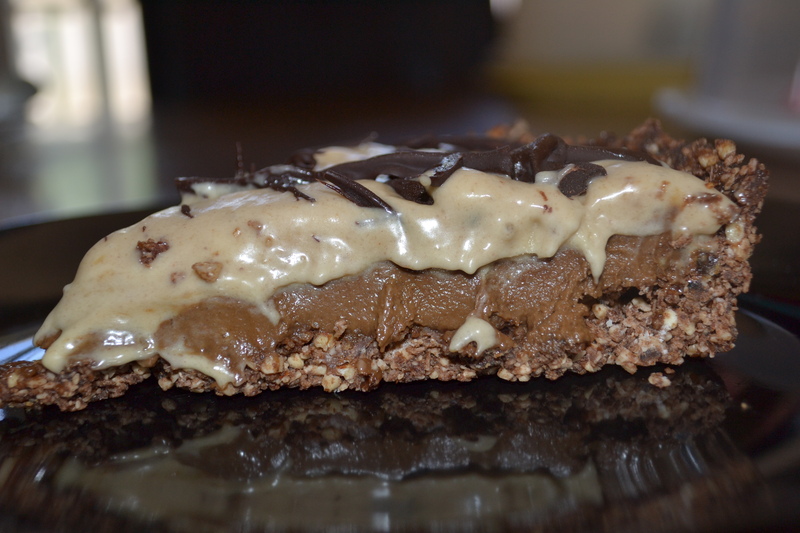 Pour the banana layer over the frozen chocolate layer and smooth out. Freeze for at least 2-4 hours. 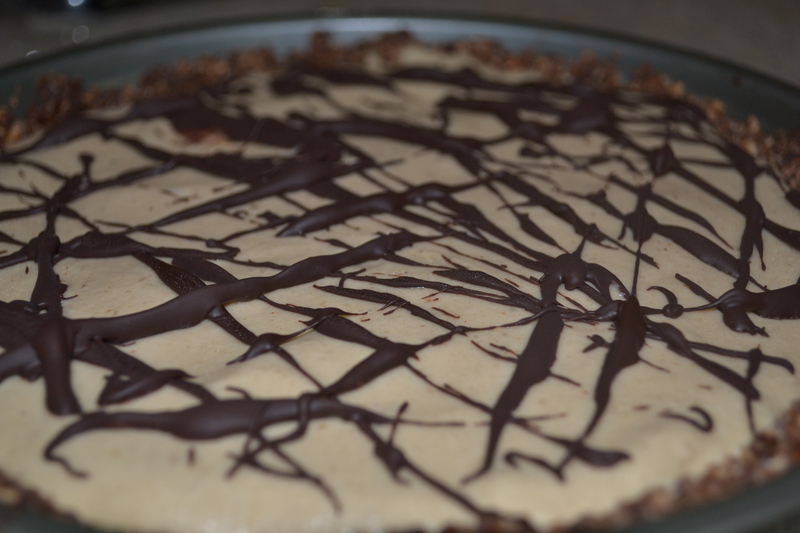 I opted to drizzle my cake in melted chocolate, but you can omit this if you wish. 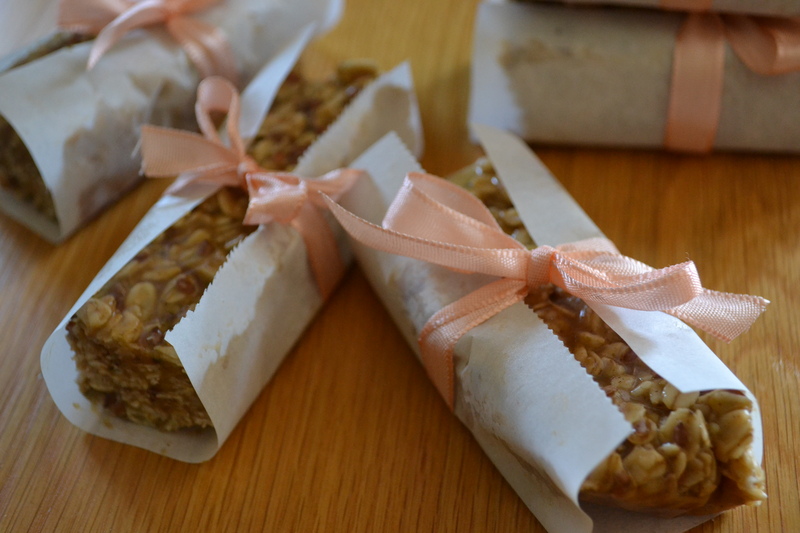 The best thing about making granola bars is how versatile it is. You can just pick and choose what you want to put into the bars. 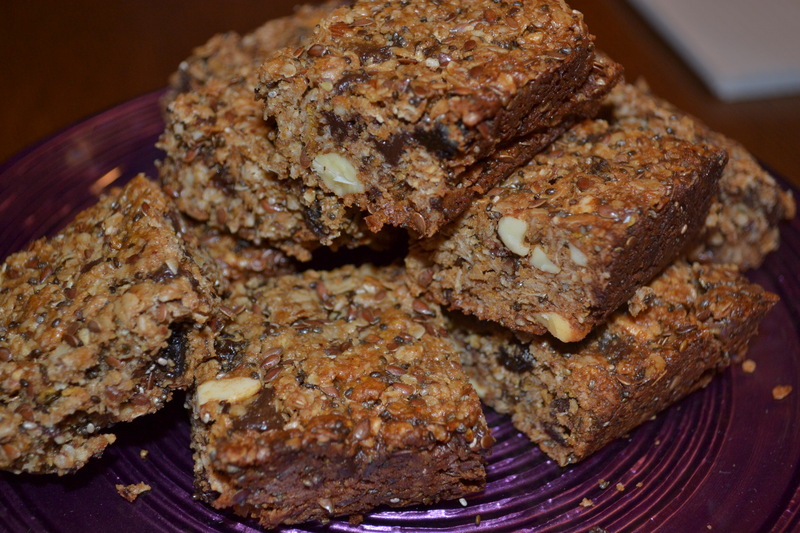 So I decided to try making granola squares that packed in lots of my favourite things, and I must say, I am quite happy with how they turned out. Soft, yet they have a nice crunch to them. Perfecto! 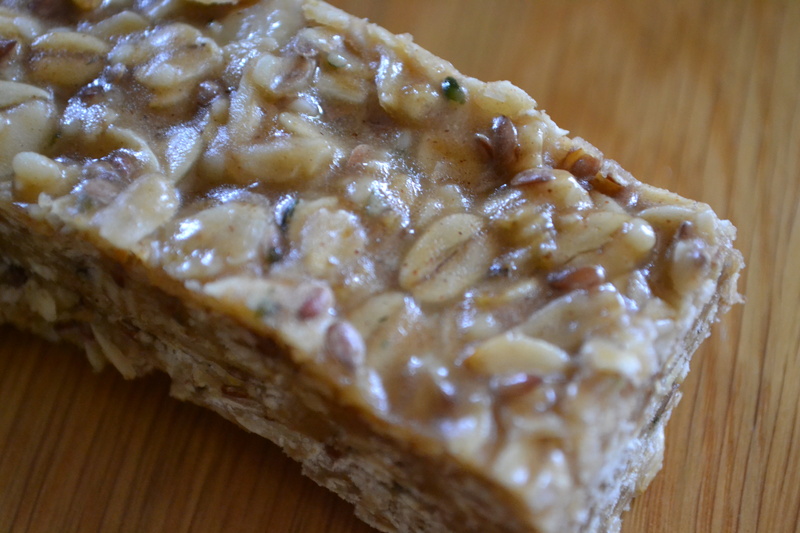 Preheat the oven to 350 degrees and line a 8×8 square pan with wax or parchament paper. Blend 1/3 of the oats in a blender until ground. 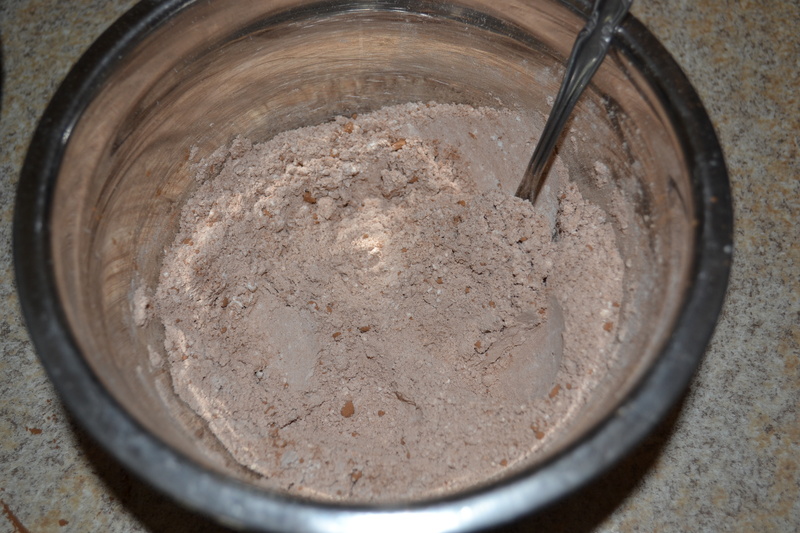 Next, take the almonds and chop or place in blender for a few seconds to break it up into smaller pieces. 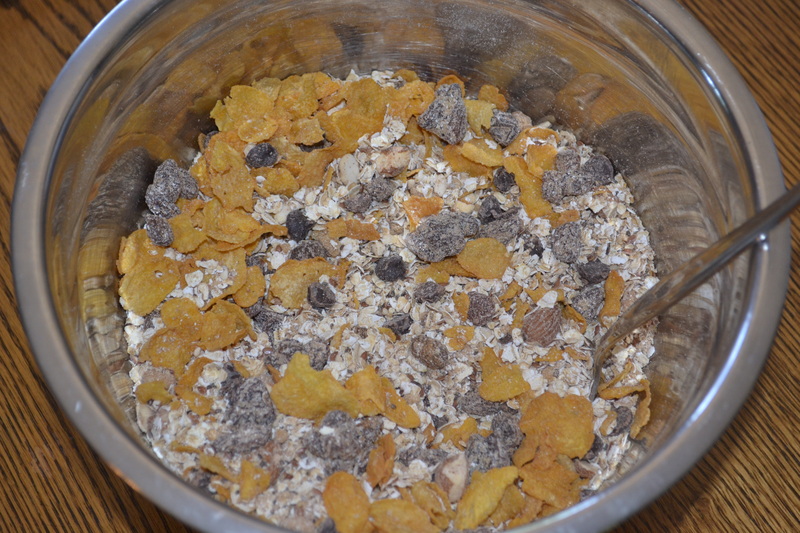 Do the same with the chocolate chips. 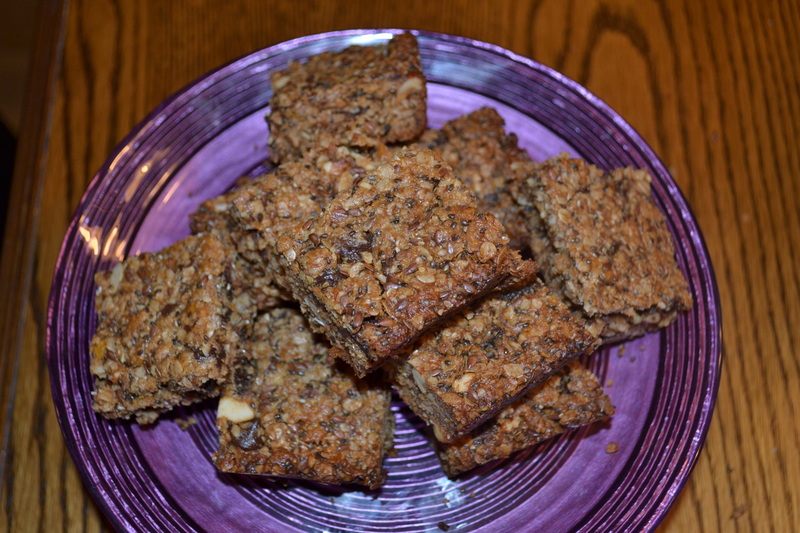 You can skip this step if you prefer to leave the almonds and chocolate chips whole. 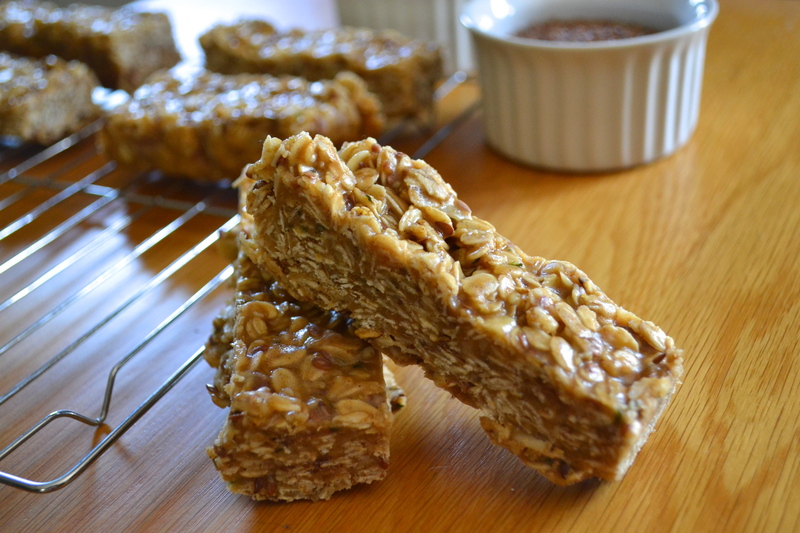 In a medium sized bowl, mix together the oats, ground oats, brown sugar, salt, cinnamon and nutmeg. 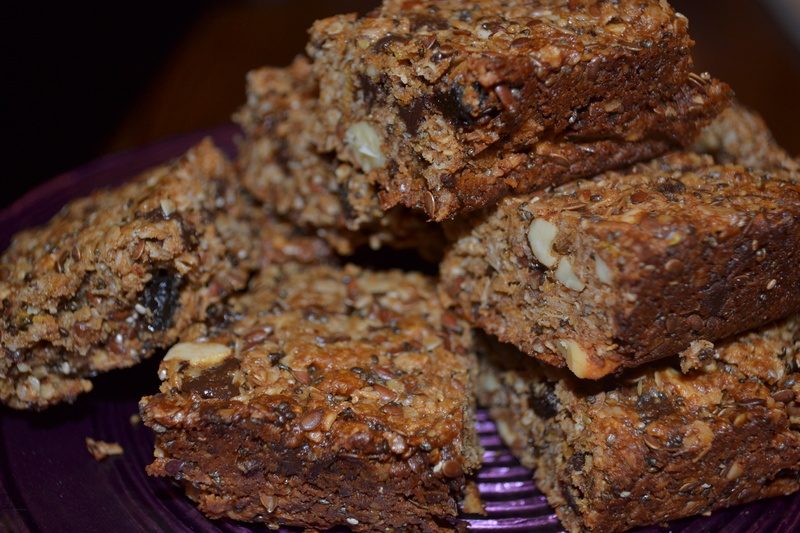 Then add in the almonds, flax seeds, chia seeds, corn flakes, chocolate chips and raisins. 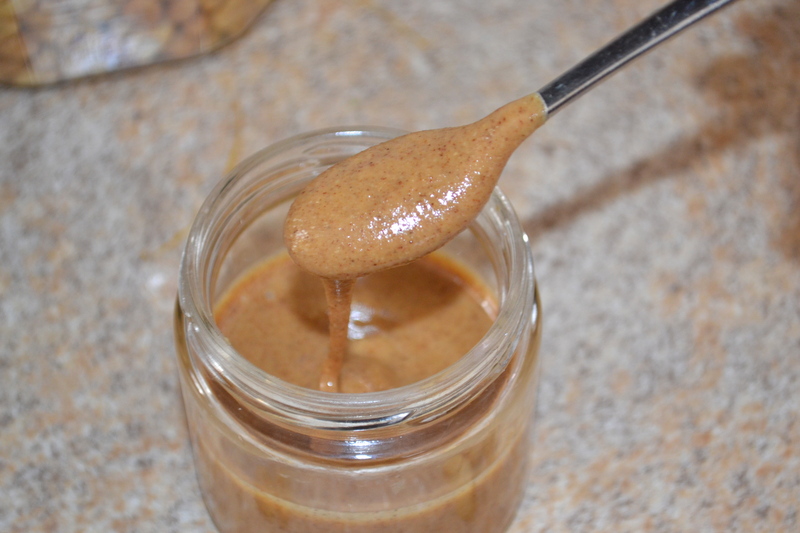 In a small-medium sized bowl, whisk together the coconut oil, agave, peanut butter and water until combined and smooth. 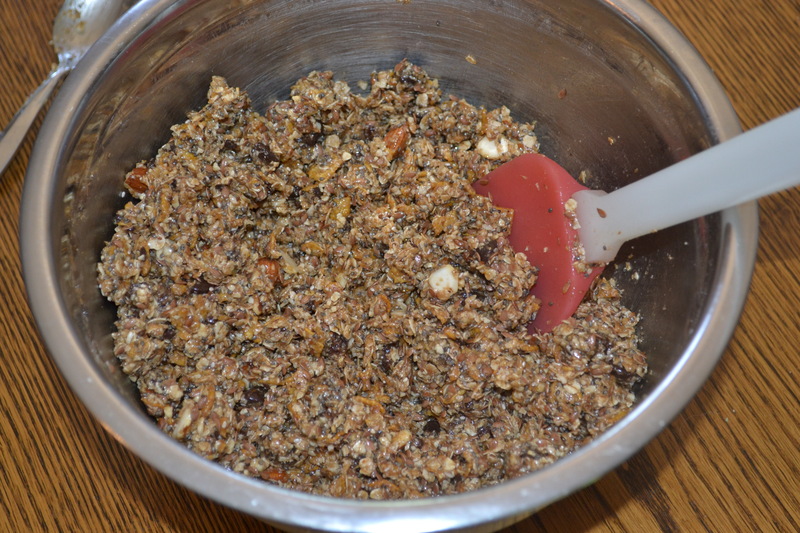 Merge the wet ingredients with the dry ingredients and mix until fully combined. 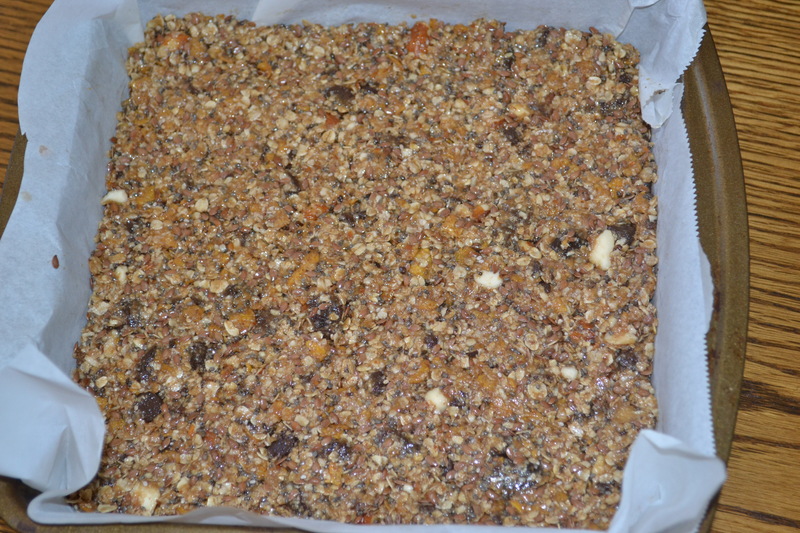 Pour the granola mixture into the pan and press firmly and evenly into the pan. 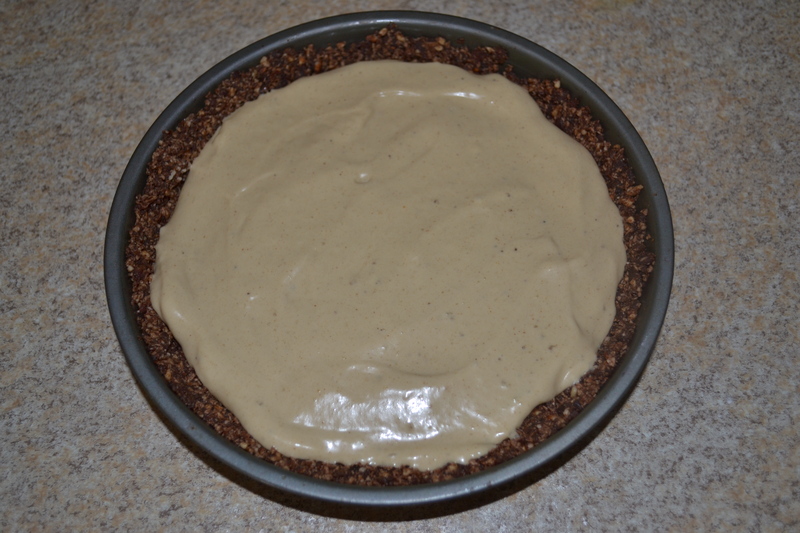 Bake for 30-35 minutes or until lightly browned on the top. 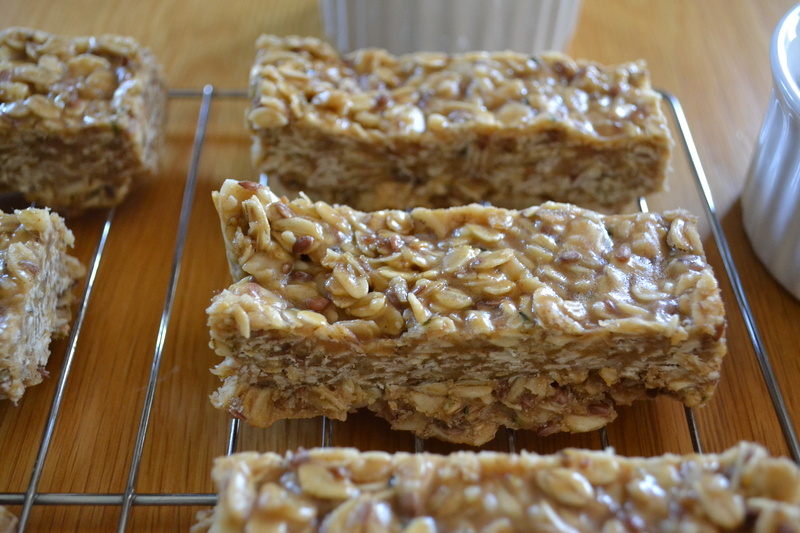 Let the granola cool for at least 20 minutes before cutting.